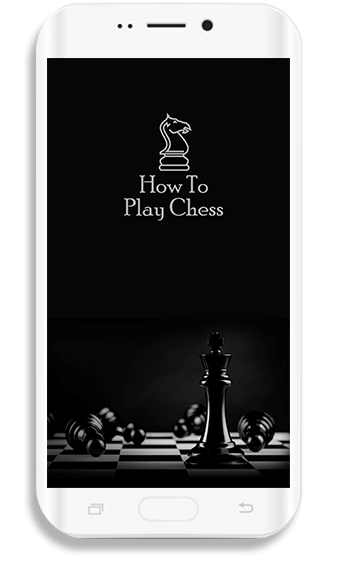 ‘How to Play Chess’ is a descriptive and educational chess guide for individuals who want to learn the basics of this board game. It enlists special moves, opening movements, strategies and tactics that will be of assistance to people who have an interest in Chess. 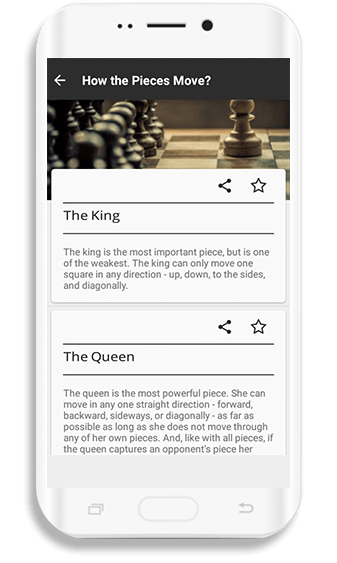 This useful app enables its users to wrap their heads around the complex and complicated moves, rules, and principles that one might require mastering chess in a small period. While this app serves as a guide for chess lovers to learn moves, one cannot dream of mastering Chess without practicing the moves on an actual chess board. To learn powerful openings for quick checkmates, we suggest practicing the moves, strategies, and tactics until you have conquered them all. 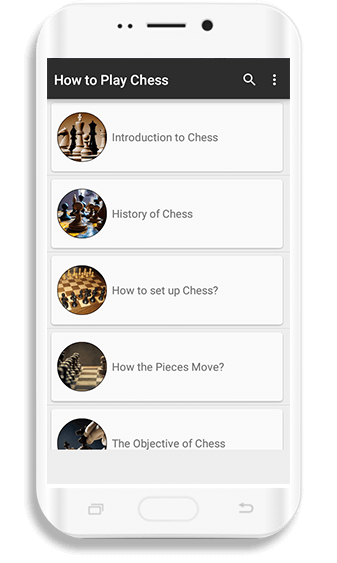 This app can be used as a personal guide to familiarize chess players with the history of chess in addition to strategies. How to Play Chess in the app that enlists multiple tips and tactics that will prove extremely useful during the game. This app is available on the Google Play Store. Once the installation is complete, you can access chess tips for free.